For Matilda's second junior parkrun, we headed over to Harrow Lodge Park in Hornchurch for Harrow Lodge Junior parkrun. We parked in the same free car park that I had used over a year ago at the Harrow Lodge parkrun inaugural event. The junior event starts and finishes in almost the same spot as the 5k event. Something to watch out for at junior parkruns is the start time because they do vary between venues. 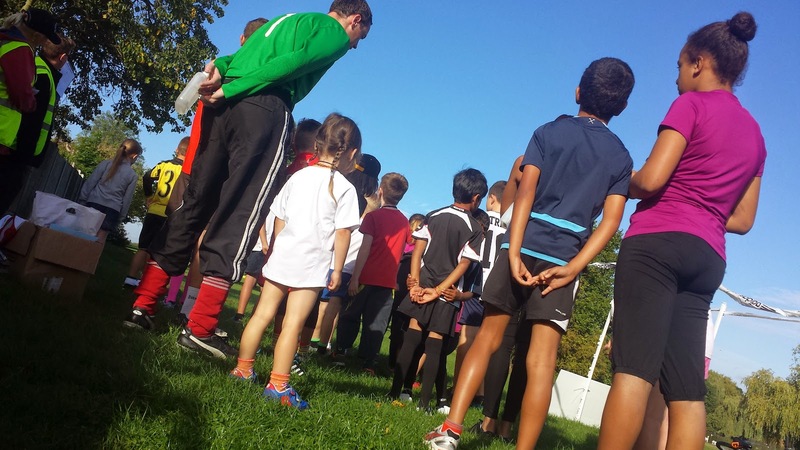 Last week's visit to Mile End Junior parkrun had a start time of 9.30am while Harrow Lodge Juniors starts at 9am. Another example; right over on the other side of London, Bushy Juniors (currently a monthly event) has an 11am start. We almost got caught out and we arrived just in the nick of time at 8.51am. The point here is check the exact start time of your chosen venue beforehand! There are toilets but they are on the far side of the park in the 'sportcentre' building. It really is a bit of a trot so if you need to venture over there you would possibly have to give yourself a good 30 minute window to get there and back. I had already decided to run with Matilda at this venue, so I made a beeline for the gaggle of volunteers to check if they needed a tail runner for the event and it just so happened that they did, so I grabbed my volunteering jacket and got ready to take on the role for the first time. The reason I had decided to run with Matilda was that the course here is one single 2km loop and it goes to the far end of the park and through some less landscaped areas. I couldn't face standing at the finish hoping that she hadn't got lost en-route. So once all of the volunteers were in place, there was a little warm up session and then the run was started. The course is mostly run on grass and takes runners along the same first stretch as it does at the full 5k event. The runners swing a right when they reach the tennis courts and playgrounds at the far end and then enter the more wildlifey part of the park. After twisting around a few different grassy paths, they emerge onto a tarmac path which takes them along the edge of the lake (don't worry, there is a fence). This path leads across to a point where the runners rejoin the opening stretch and head back towards the start/finish area. As usual, the volunteers were fab and offered lots of encouragement around the course. It's not a pancake flat course and when the winter months come along it'll probably be a little (or a lot) muddy in places but it is a fab little course in a really great park. Matilda had brought along one of her new official ERS parkrun barcode tags and I'm pleased to say that it scanned perfectly. 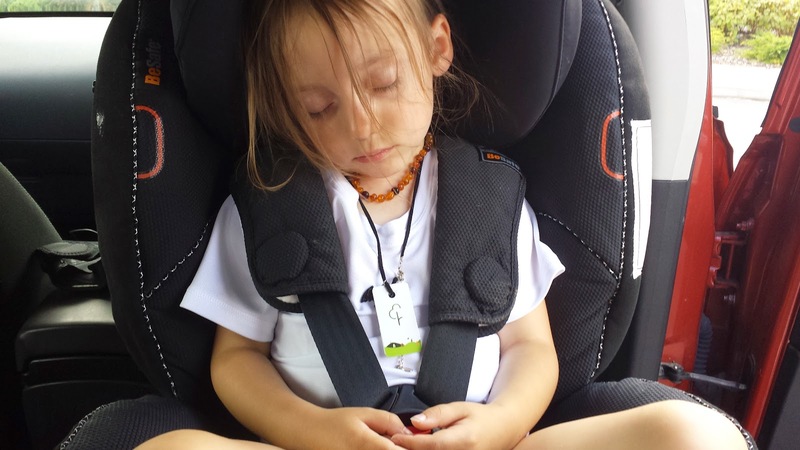 We had attached it to a necklace before we left home so she couldn't lose it. Once the junior run had finished I headed off to attempt a freedom run of the full 5k course, and although I could remember most of it, the wildlifey section through me a little and I ran up and down a few wrong paths before getting back on track. 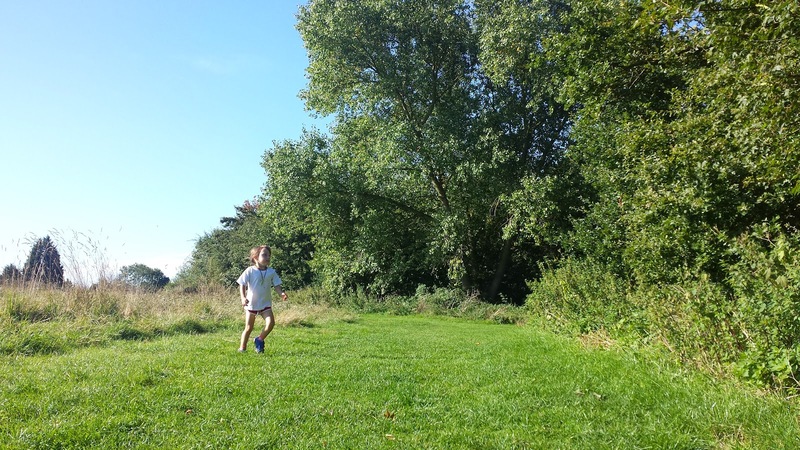 The official results of the junior event were online a few hours later and although she hadn't improved on her time from last week, she had enjoyed herself and logged her second junior parkrun at her second venue.